The lead single from High As Hope, “Hunger” follows “Sky Full of Song” and sees Florence exploring her vulnerability and search for love whilst comparing her teenage experience to the young people of today. During a premiere and interview with Annie Mac on BBC Radio 1, Florence said: "It’s also a celebration of how much I see young people changing things, like, “No, I wanna look this way.” They’re just so switched on and engaged and they’re not gonna be told how they should look and behave. I was really lost when I was a teenager, I was really confused and sad, so I feel really inspired by the young women I see today. The song was announced on the 30th of April via Florence’s Twitter and was accompanied by a video upon release on May 3rd. 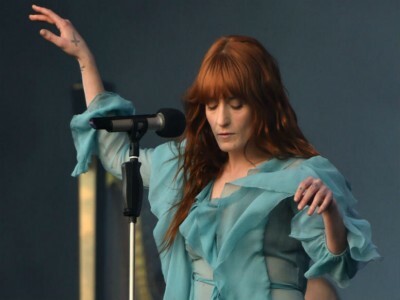 Free download Hunger - Florence + The Machine ringtone browse our top free ringtones download exclusively for your smartphones or mobile phone.